At Laszeray we’re always looking forward to the technological trends that will define the future. One of the things that recently caught our interest was the “Bionic Leaf” project by Harvard Medical School. 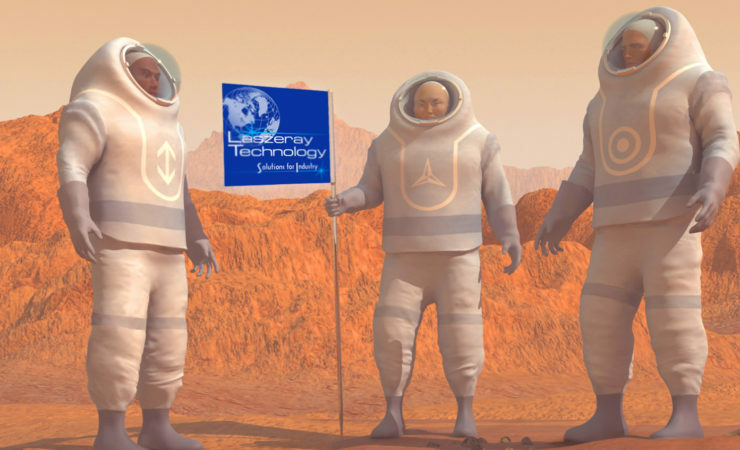 Although the prospects of a Laszeray facility on Mars may be a “couple” years off, as in most aerospace programs, it is likely that developing technologies will find their way into Earthling life before space. As this project moves out of development and into the production phase, there are many interesting engineering challenges on the manufacturing side. The final, production product will have to be easily replicable, which lends itself well to injection molding. It will also have to conform to stringent guideless for NASA and other users, whether at home or on Mars. The final production design will also likely have to use specialty materials to contain the CO2-consuming bacteria in a nurturing environment, and may require some complicated material science to get just right. Producing the Bionic Leaf on the surface of Mars will pose additional challenges (until the Laszeray facility opens in the Mare Erythraeum) but those may be solved by 3D-printing the units there, saving valuable cargo space on an interplanetary voyage. One of the most interesting things is the bacteria use CO2 to create their own polymer – future versions of the bionic leaf may be created by the polymer harvested from the bacteria in earlier versions of the project. It’s possible that the bionic leaf may eventually become a total self-replicating technology. Check out the original article ‘Bionic Leaf’ Could One Day Help Reduce CO2 in the Atmosphere and until then, Laszeray will be accepting employee recruits for our mission to Mars!